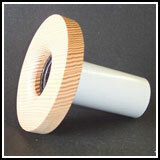 Available in Flush Mount and Surface Mount styles. 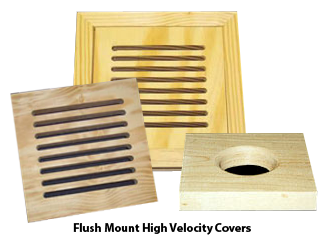 High Velocity covers are 3/4" thick and are sold unfinished to offer the versatility of adding the stain and/or finish of your choice. 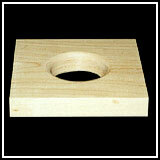 If you require a different thickness, please call us at 1-800-547-2705. 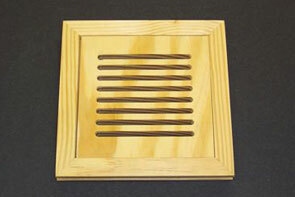 All grilles are made of solid wood and are offered in all wood species. Please select the style you would like in the drop-down menu above. 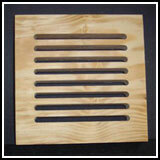 The pictures shown below are just a sampling of wood species available. 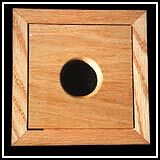 Overall Size 7" x 7"
Overall Size 5 1/2" X 5 1/2"